This week we’re checking out Creative Mornings Dublin and talking to organiser Brian Colhoun. At Bullet we deal a lot with creatives whether they are freelance illustrators or digital agencies (or developers – their creative too, right) and we’re very community focused. In essence we like dreamers that do, and Creative Mornings Dublin provides a great platform for dreamers that do. So we were delighted when Brian joined the Bullet community. Tell me about Creative Mornings for the newbie? Brian: The best description put forward is “TEDTalks for the rest of us”. The rest of us being anyone doing anything creative with passion and dedication. Officially, it’s “a breakfast lecture series for the creative community”. Includes free coffee and chat and a 20 minute talk based on a monthly theme. 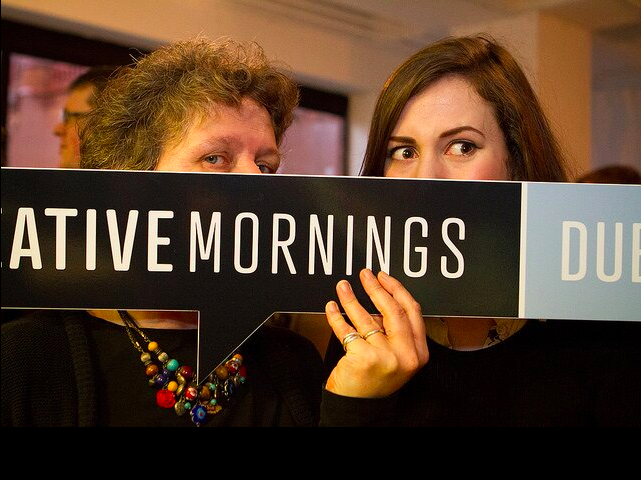 What got you interested in getting involved with Creative Mornings? Brian: This video by CEO of Mailchimp, Ben Chestnut He talks about creativity being heavily encouraged in the workplace. I went looking for Creative Mornings in Dublin. There was none yet, so I started the application process. Here is Brian’s video application pitch for Creative Mornings, at Bullet we think it captures everything great about creativity in Ireland. Creative Mornings – Dublin Application from Mark Verling on Vimeo. Do you have to have a beard to do a talk? What would be your advice to anyone that’s looking to set-up a community event? Build excitement. Use social media, make interesting media/posters/videos, connect with as many people as possible. In our case, we use twitter, but whatever works. You may not need online social media at all, but it helps. Audio Visual stuff can make or break an event. We have to record and photograph each talk. If we lose the sound on a video for example, we can’t get it back. Identification is important. There are so many tech events, and great ones at that, in Dublin. We wanted to branch out to other industries that don’t get the event hugs that the Tech industry gets. And, cliché alert, have as much fun as possible. If people are giving their time for free, then they must have fun! What’s the horrible side to community events that nobody talks about? Brian: Getting money to run events. If you’re event is free, then you’ll undoubtedly need money for something or other. However, getting enthusiastic people to bring a skill or a pair of hands is wonderful and balances out the former. The coffee partners we’ve had so far have been great! With creative events to you think Ireland suffers from a size issue, in that we don’t have a big enough population to create a large community? Brian: There’s more going on creatively in Dublin than anyone in the team thought before we started. In fact, we thought that getting speakers would be difficult. That’s the easy part because people love to talk about what they love to do. There is a numbers angle, but I don’t think we’ll run out anytime soon. 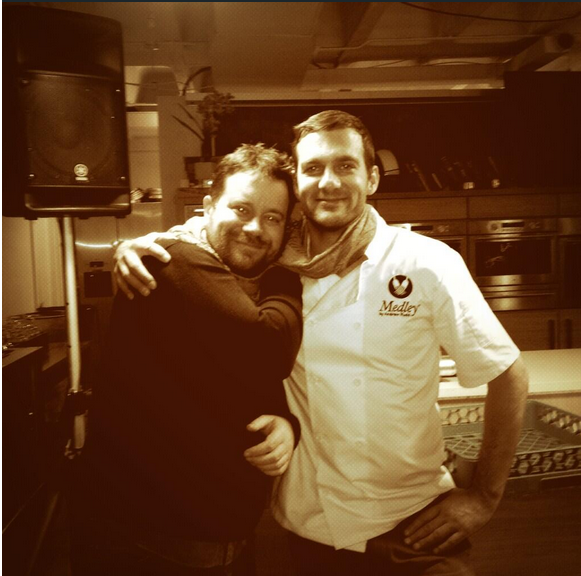 Bar myself, what other brilliant person would you love to have talk at your event, and why? Brian: Apart from you obviously! In our original application highlighting 10 people we’d like to get as speakers, we did have Michael D. Higgins. Seriously. We thought it would be great if he could talk about the creation of TG4. Haven’t ruled it out yet, but he’s a busy man doing whatever he’s doing. Talk about about the business side of running Create Mornings Dublin, what do you find the hardest, marketing, the events, covering costs? Brian: Marketing is fun! Twitter is the tool there. [The account is run primarily by Andreea Wade – @brandalisms and we make a unique poster every month done by www.logo24.com]. Once you do a few events, you make most of the mistakes you’re going to make on the day. Look at the previous event, and make the next one better. Covering costs for us involves finding a coffee partner to pay for coffee and snacks but also show off their creative chops while letting people know who they are. Want to be a coffee partner? We’re all great, it’s loads of fun. (editors note: if you want to support this movement please contact @briancolhoun_ie for details). Our community is always interested in growing their organisation, what tips would you give them around growth and promotion? Brian: I’ve noticed that once the community starts to interconnect with each other, then you can build on it. The stronger the community, the more organic the growth. The community will do the promotion for you. That’s the goal really of any organisation, to get your users or customers to say good things about you. Money can’t buy that. You can’t force a community to grow, but you can do everything possible to support it and feed&water it. What made you decide to partner with Creative Mornings rather than go on your own? Brian: Creative Mornings had a community to build on. They also had all the kit to get going and had already learned the lessons we would have if we went solo. The fact that all events were recorded and photographed was attractive. Also, I liked the challenge of the early mornings. We wondered would people avoid it or say, “You know what, I’m just gonna get up an hour earlier this time. And sure there’s free coffee!”. We were pleasantly surprised. Your twitter stream hasn’t got one person with a serious face in it, is a good fiber diet essential to a happy disposition? Brian: Costs nothing to have the craic doing anything. Personally, I can’t do any kind of work without having fun to some degree. Most of the @Dublin_CM followers just love what they’re doing! And of course, eat more fruit. What’s your favourite Create Mornings talk (we’ll post it)? Brian: How dare you make me choose! So unfair, but seeing as you have a bullet (haw haw haw) to my head! In Dublin, I have a soft spot for Brand New Retro’s talk – http://brandnewretro.ie/. It was the first one and Brian put a lot of work into it. His wife even made co-branded chocolate bar wrappers and water bottles. Anything you think might be interesting or want to promote include here and I’ll work it in. Brian: We hold the events in Medley by Andrew Rudd. He lets us invade the place for free, once a month, comes down himself sometimes after a few hours sleep to open up. Really can’t thank him enough.